On Friday 17 October 2014, alumni, staff, students and friends gathered to celebrate the remarkable life and contribution of Dr Christina ???Chrissie??? Cruickshank Miller (1899???2001). 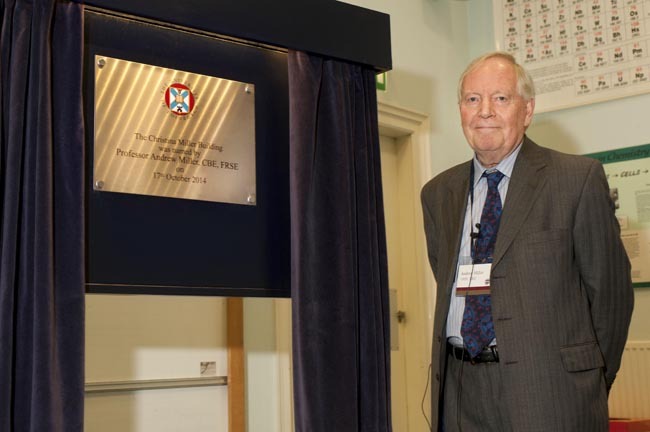 The Chemistry teaching laboratories, which were opened in 2000, were renamed the Christina Miller Building in a formal ceremony to acknowledge Dr Miller?? 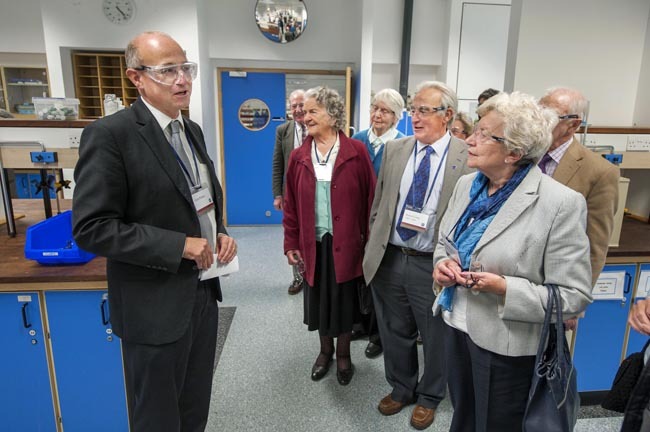 ?s commitment to teaching and training future chemists. Chrissie studied and worked at the School of Chemistry from 1921 to 1961, and in 1949 was the first female chemist to be elected to the Royal Society of Edinburgh. Her research into phosphorus trioxide was very highly regarded, but she is most fondly remembered by alumni and colleagues for her attention to detail and diligence as a teacher and friend. 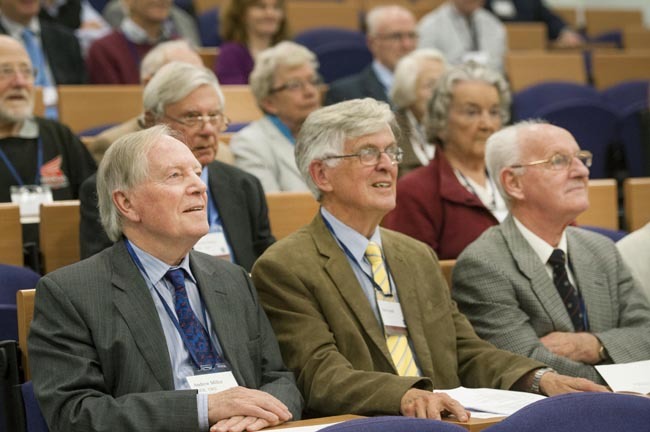 As part of the event staff and alumni shared memories and anecdotes in an animated question and answer session which was led by Dr Bob Gould, Dr David Vass (BSc 1959; PhD 1962), Dr Evelyn Hay (BSc 1953; PhD 1956), Professor John Knox (BSc 1949, DSc 1963). 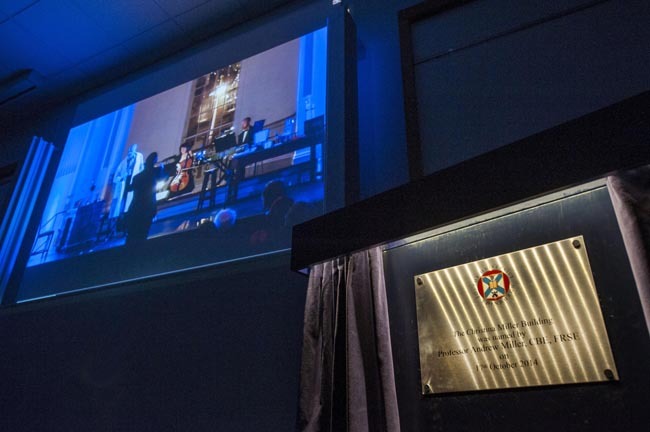 Dr Malcolm Fluendy (DSc 1982) acted as Master of Ceremonies and Professor Andrew Miller, (BSc 1958; 1962 PhD) did the formal honours of unveiling the plaque to officially rename the building. 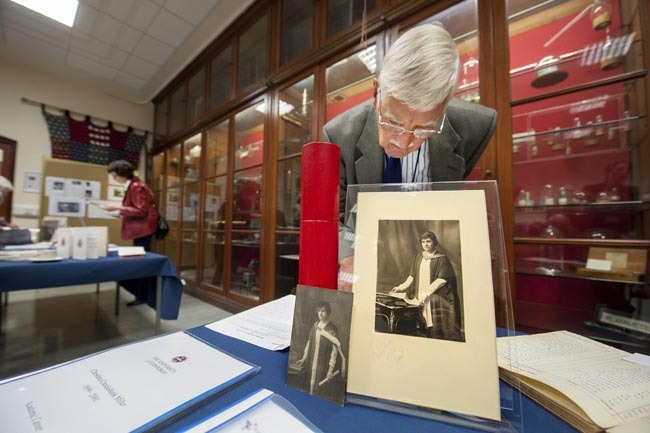 Guests were also invited to a screening of the Breathe Freely opera, hosted by Dr Julian Wagstaff and featuring Chrissie in the female role, had the opportunity to go on guided tours of the School, and view a unique collection of her documents and photographs. 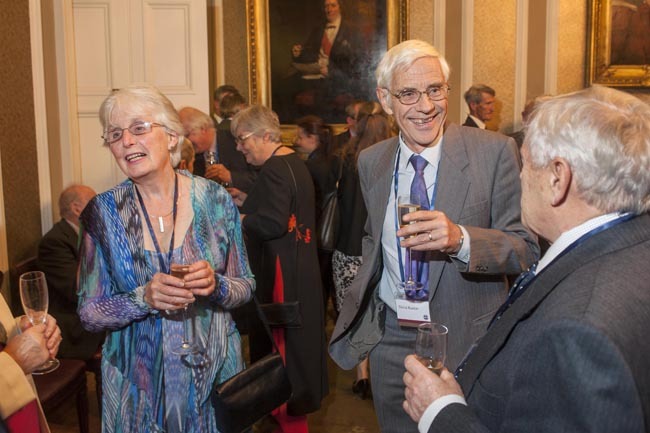 In the evening a drinks reception and Alumni Dinner was held at the Royal Society of Edinburgh (RSE) in George Street. Chief Executive of the RSE and Chemistry graduate Dr William Duncan (BSc 1953; PhD 1956) gave a brief history of the RSE and its buildings.